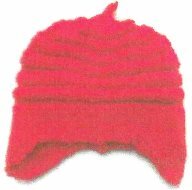 Our conference project for 2017 will be RED Baby hats to donate to the NJ American Heart Association for their annual “Little Hats, Big Hearts” program, In February each year the Association gives new moms all over New Jersey a small gift as they start their parenthood journey, Included is a RED baby hat, along with information including tips on raising a healthy family, ways mom can take care of herself, a heart healthy cookbook and information on children’s heart health. At conference we will have a workshop for those interested in learning how to make a hat. You also can join us even if you already know how to do this. Make hats at home and bring to conference!! washable and dryable. Newborn and preemie sizes.